Today most fixed wing ultralights fly similar to standard aircraft. They have 3-axis controls with the same basic stick, throttle, and rudder pedals you’ll find on most other aircraft. However, they have less mass and usually more drag. Our ultralight training program uses a specified schedule in consideration of the EAA Ultralight Pilot Program which recommends a minimum of 10 to 15 hours flight instruction, 3 hours supervised solo (in your aircraft only), and 25 takeoffs and landings and successfully pass a written, oral, and flight test. You will learn the basics of flight and your flight time can be applied towards the Sport Pilot rating if entered in your pilot logbook properly. 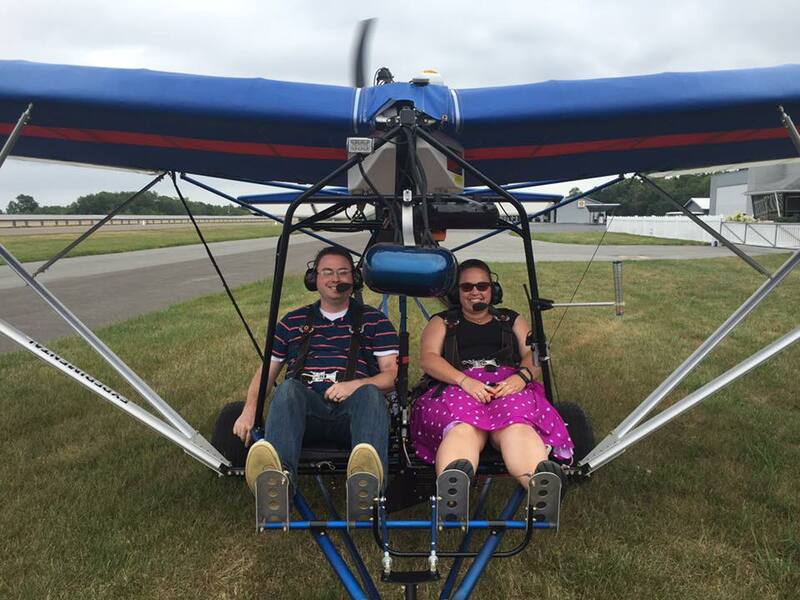 Training can be done in our 1945 J-3 Cub and supervised solo flights will be in your own Ultralight Aircraft. The nice thing about using the Cub as a training aircraft is that it will teach you how to “really fly” an airplane, and teach you proper “stick and rudder” skills that get left out in other formats. You’ll also learn how to land and handle a tailwheel airplane. If your single place ultralight is a tailwheel airplane you’ll likely find it to be 10 x’s easier to fly and handle than the cub. If your plane is a tricycle gear airplane, then there is really nothing more to learn. Your first taxi down the runway will be enough transition training. However, if you have a friend who owns a two place ‘ultralight type aircraft’ and is willing to allow us to fly in it, then we can arrange to do further transition training in that aircraft. I recommend that all potential pilots review the EAA Fixed Wing Ultralight Training Guide in .pdf format and print it out. If you own or have access to an experimental 2 place “ultralight like” aircraft then we can help with training. Additionally, I utilize a specific manual that is no longer in print, but is easily the best source for Ultralight Training. It’s called, “The Ultralight Pilot’s Flight Training Manual” by Curtis Hughes. Search Amazon or Ebay to try and find a copy. Unfortunately, I cannot legally photo copy the manual.